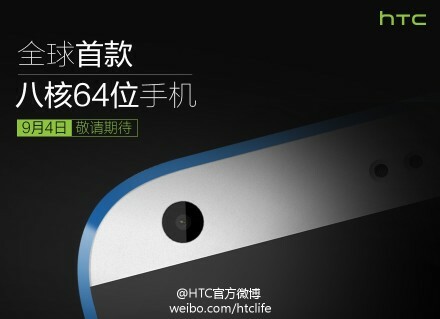 HTC has posted a small teaser on a Chinese microblogging website, claiming to be working on a 64-bit octa-core-powered smartphone. Included with the tease is a glimpse of a phone we have not yet seen, but may actually end up being only a mid-range device. Given HTC does not make their own processors, we have to assume they are referring to a Qualcomm-made chip; likely the Snapdragon 615, which is a 64-bit octa-core processor that is to be featured in the upcoming Desire 820. For anyone hoping it was going to be a beastly Snapdragon 810, which is also a 64-bit octa-core (but yielding much greater power over the 615), it would be too early to start talks of a One (M9) with a Snapdragon 810, only for the simple fact that HTC clearly has a device ready to manufacture (pictured below). Given that a mid-range phone isn’t much fun to argue over, tell us down below what you might like to see in the One (M9) aka HTC’s 2015 flagship device. QHD? Snapdragon 808 or 810? 3GB+ of RAM? A decent camera? Let us know. Monday Poll: Which OEM Would You Rather Purchase a Round Smartwatch From?